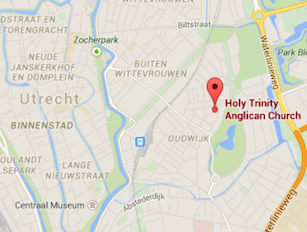 Holy Trinity Church rents out its Hall in the ground floor of the Parsonage next door (van Hogendorpstraat 26) for use by members of Alcoholics Anonymous (AA) and Narcotics Anonymous (NA). Both these organizations are completely independent of the church and yet Holy Trinity is very supportive of their vital ministries both by providing a place for them to meet and from time to time in our prayers. If you are interested, or want more information, you will need to come to a meeting and speak with a leader.